Elizabeth ArdenElizabeth Arden Flawless Finish Everyday Perfection Bouncy Makeup, 0.38-oz. New! Revitalize. Energize. Perfect. All in one compact. Wake up your makeup routine. 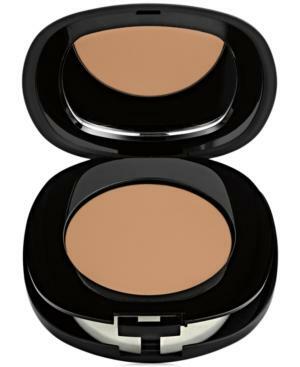 Flawless Finish Everyday Perfection Bouncy Makeup provides all-day coverage for a flawless, natural complexion. This unique formula combines powder and cream in a bouncy gel texture. Enriched with caffeine, ginseng and peppermint oil, this is your energy boost that wakes up tired, dull skin and instantly perfects as if you had a good night's sleep. Elizabeth Arden Flawless Finish Perfectly Satin 24hr Makeup Broad Spectrum Spf 15, 1.0 Oz.